Looking for an illuminating, eye-opening experience to make your next trip unforgettable? From natural phenomena to stunning manmade displays, these 8 magical sights are a photographer’s dream and are sure to leave anyone in awe of our planet’s beauty. Want a truly illuminating experience on your next trip? Look no further than these eight spectacular destinations that showcase light in unique ways and turn already extraordinary locales into something magical. From the natural and eerie glow of bioluminescent creatures to the vibrant colors from millions of hand-placed lights at Korea’s Lighting Festival, these destinations sit atop the must-see list of countless travelers. The United Nations declared 2015 as the International Year of Light, so why not celebrate with an unforgettable trip to one of these glowing destinations? 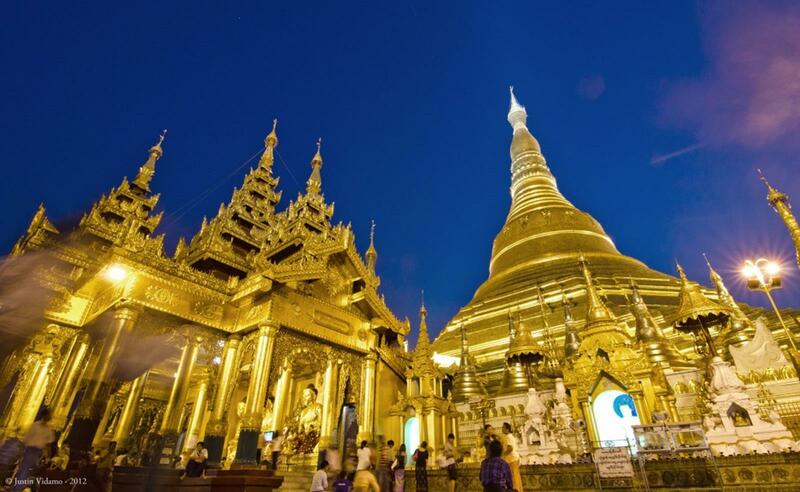 Sitting atop a hill just a few minutes north of downtown Yangon is the world famous Shwedagon Pagoda. This site has become popular with visitors, but is still one of the most important symbols of Buddhism to the people of Myanmar. Inside the temple grounds are hundreds of colorful statues, stupas and relics, along with the 360-foot gold-plated pagoda. Arriving shortly before sunset will offer a magnificent show of light as you watch people gather for evening rituals with the setting sun reflecting off the gold and lighting up the night sky. It’s not hard to spend hours at Shwedagon taking in the atmosphere and walking the grounds in awe of the natural light show happening around you. Keep your eyes to the sky for this vibrant Thai festival celebrated during the full moon of the 12th month in the Thai calendar (most often, November). The celebration is a time to show respect to Buddha, and lanterns are built from rice paper or other thin fabric stretched over a bamboo frame with a candle or fuel cell attached. 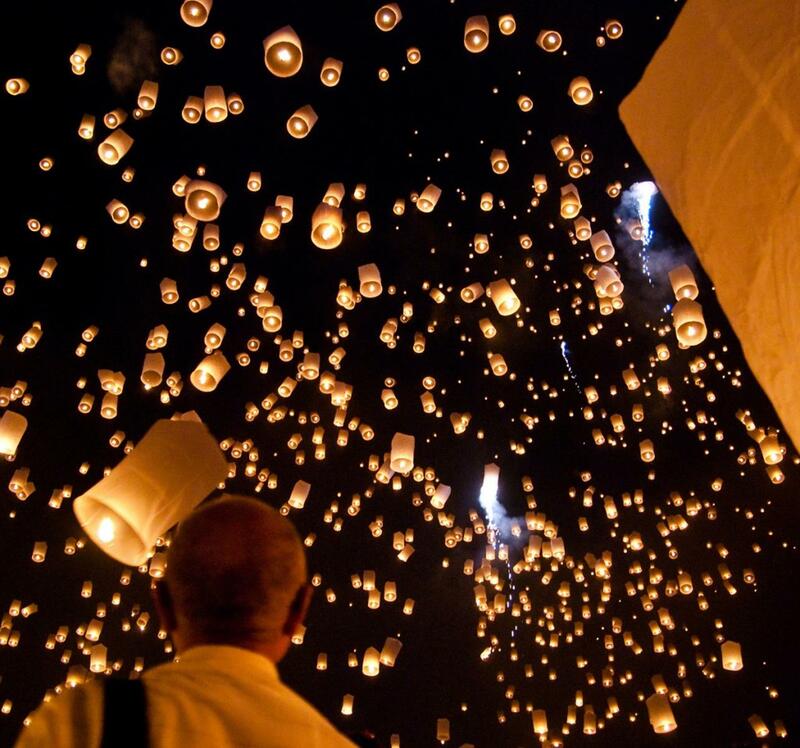 Once lit, hot air trapped inside gently lifts the lantern up into the sky, creating quite a show. With hundreds or thousands in the air at once, the night becomes illuminated with the golden glow of the handmade lanterns. This festival is specific to the northern region of Thailand, and visitors will find an especially excellent spectacle in the city of Chiang Mai, where events are planned throughout the week. 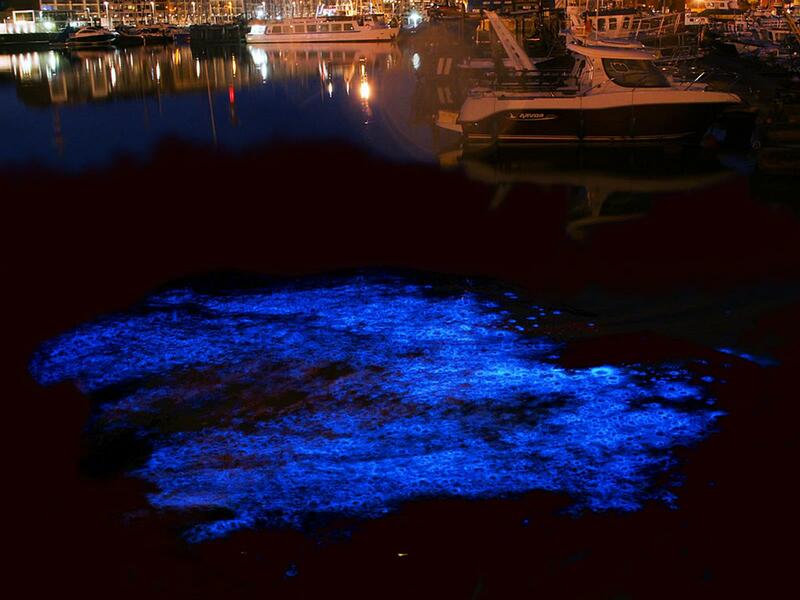 The incredible phenomenon of bioluminescence may be one of nature’s most fascinating light shows. This effect occurs when living organisms emit light and in the San Juan Islands you can catch some amazing hues of green and blue in the cool waters of Puget Sound. Signing up for a kayak tour is a great way to see this up close, especially as the movement of paddles through the water causes the creatures to emit sparkles of light unlike anything else seen in nature. While bioluminescence is not unique to the San Juan Islands, this locale offers some of the best in the world and is also a prime location for exploring a truly unique ecosystem by boat or on foot. 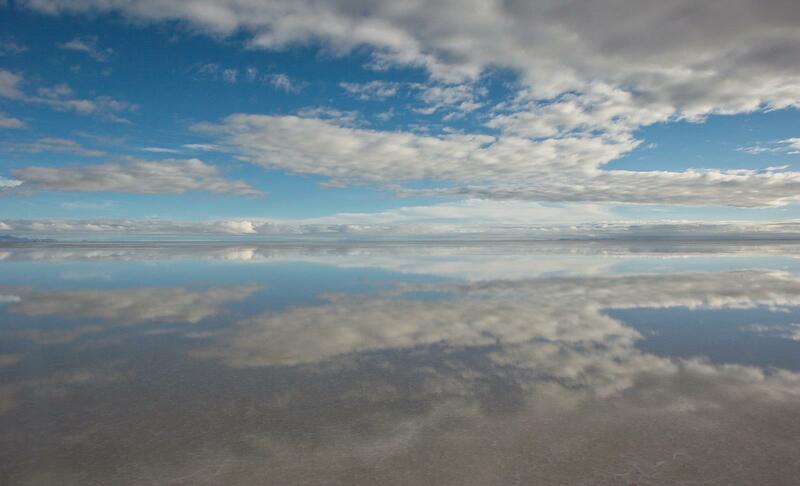 In the rural southwest corner of Bolivia lies the world’s largest salt flats – Salar de Uyuni. Covering over 4,000 square miles, the salty expanse is a surreal experience at any time of year, but especially during the rainy season. This is when a thin layer of water covers the flats and turns them into an incredbile spectacle of glistening and reflective salt. This water sheet perfectly reflects the sky above, making it hard to tell where the ground ends and the sky begins, and creating myriad options for photographers. March and April are particularly great months to visit the flats, and for a unique experience, hire a 4×4 from the town of Uyuni to cruise the flats in style. 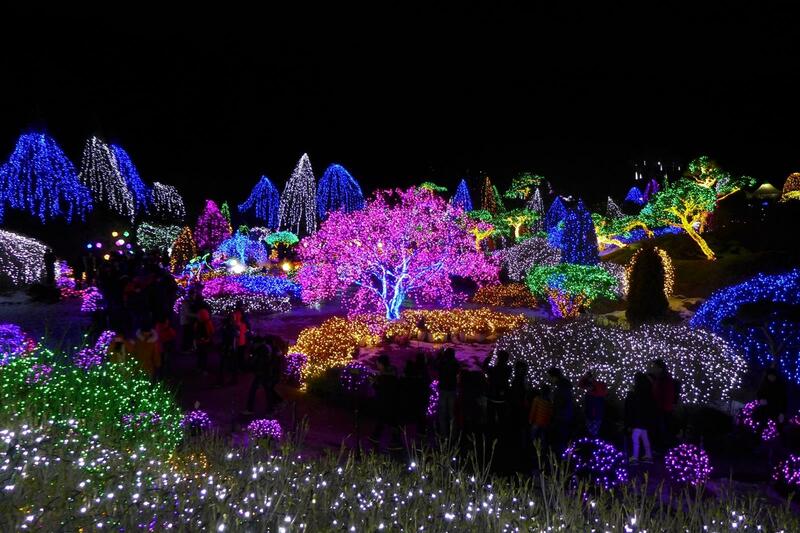 If you’re lucky enough to visit the Garden of the Morning Calm during the winter months, you will be able to take in the spectacle that is the Lighting Festival. Just a couple hours outside of Seoul, the garden is open year-round, but from early December to mid-March, it becomes illuminated with millions of vibrant bulbs that blanket nearly all of the trees and shrubbery and line the walkways. It is truly a magnificent manmade light display that is not to be missed. Fluorescent pinks, blues, greens, and a rainbow of other colors come to life after the sun sets, and each year the park sets the festival to a different theme, making no two years exactly the same. Reykjavik has become increasingly popular among travelers due to its proximity to the U.S. and mainland Europe, as well as the budget-friendly flight options. The charming town is full of history, interesting cuisine and offers a natural backdrop dotted with volcanoes, mountains and natural hot springs. One of the most popular attractions is also one of nature’s greatest light shows: the Northern Lights. While the official season for the lights runs from October until March, it’s not unheard of to see them come out even in the summer months. As long as the weather is cold and dark, there is a possibility of seeing this amazing phenomenon, which is caused by cosmic rays, solar wind and magnetospheric plasma interacting with the upper atmosphere. 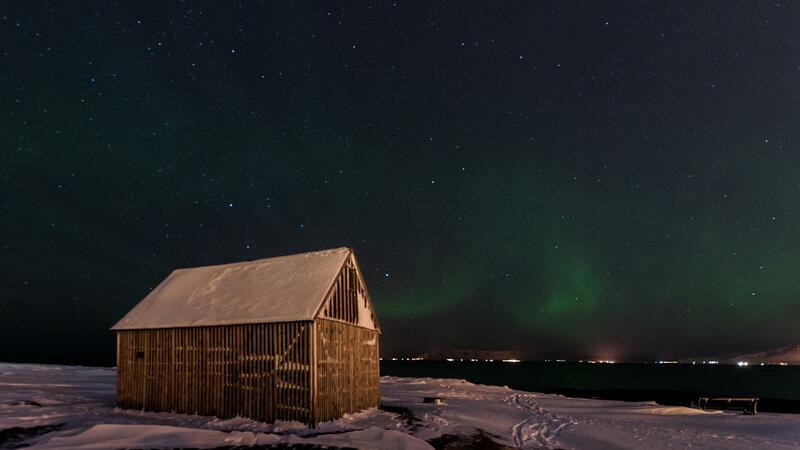 Head out on foot, or join an organized tour from Reykjavik to see a light show like you’ve never seen before. 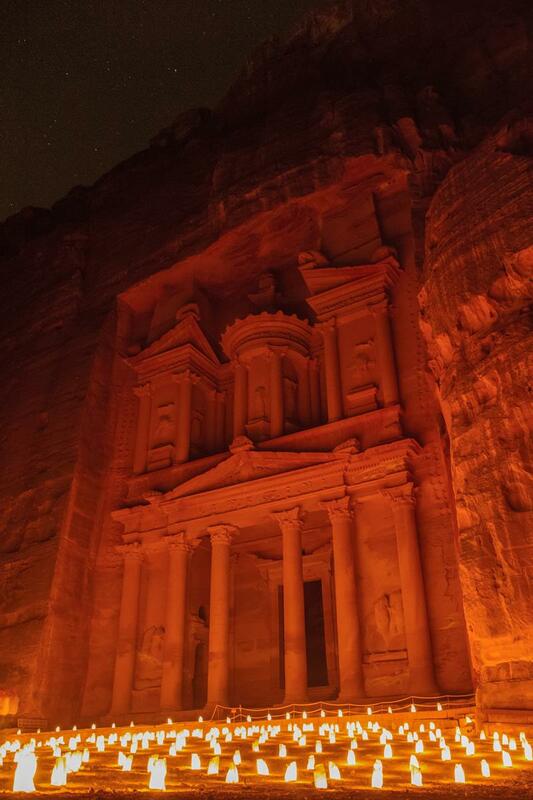 On Monday, Wednesday and Thursday nights beginning around 8:30, visitors have the chance to see the stone city of Petra illuminated with the glow of 1,500 candles. This tour is only available by booking in advance, which means a more intimate and calm experience. As you trek through the pitch-dark valley in silence – no talking or cell phones allowed – you are guided by the flickering orange lights to your destination. Upon reaching the world-famous Treasury Plaza, the impressive façade is lit up by the glow of the candles, and you are served tea as traditional Bedouin music fills the air. Waking up to sunrise in the Sahara is an unforgettable experience that reminds us just how beautiful the everyday occurrences of nature can be. The desert is an especially popular spot for visitors to Morocco, as it is accessible by bus from Marrakech. Small guesthouses dot the landscape and camel treks allow visitor to spend the night among the dunes, waking up to colors unlike they’ve seen before. Blues and pinks mix with the vibrant orange of the dunes, and the silhouettes of camels make for a picture-perfect scene right out of a painting. 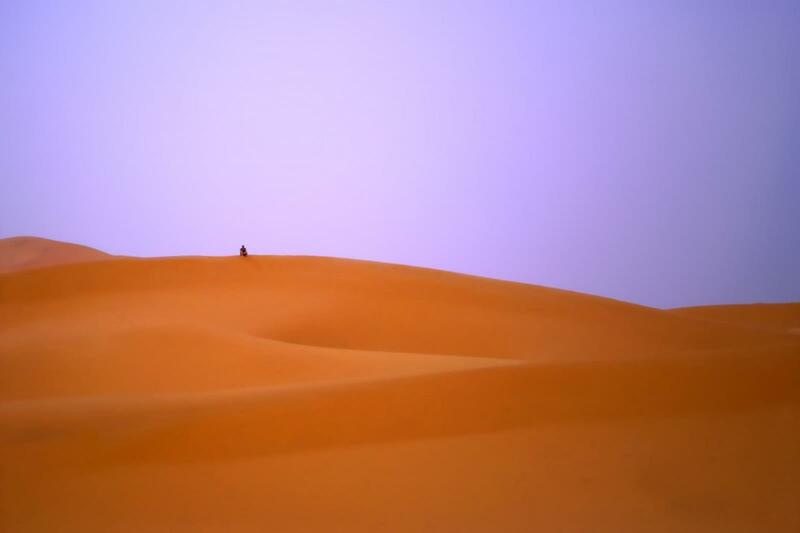 With the giant expanse of the Sahara ahead of you, crowding is never an issue and you can spend all the time you like enthralled by this daily, moving experience. Have you had a particularly “illuminating” experience at any of the locations above, or have your own experience that just can’t be missed? Share with us in the comments section below!